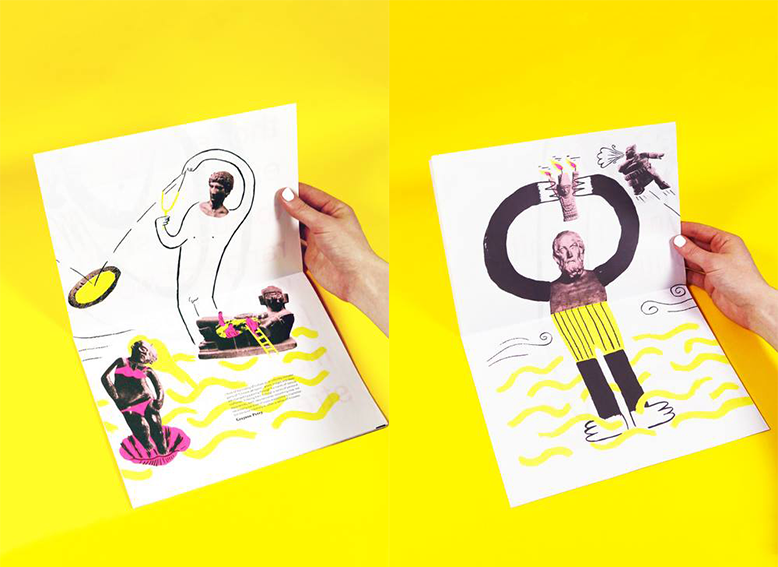 For his final year at Glasgow School of Art, illustrator Sam Russell Walker had an ambitious poster design in mind. His project, Bygone Magic Stone, uses collage to explore how we interpret, and build upon, artefacts passed down through generations. Walker's collages are an expressive mix of vivid block colours and more detailed archival images. He first tried screen printing them onto an A1 poster, but wasn’t happy with the results. 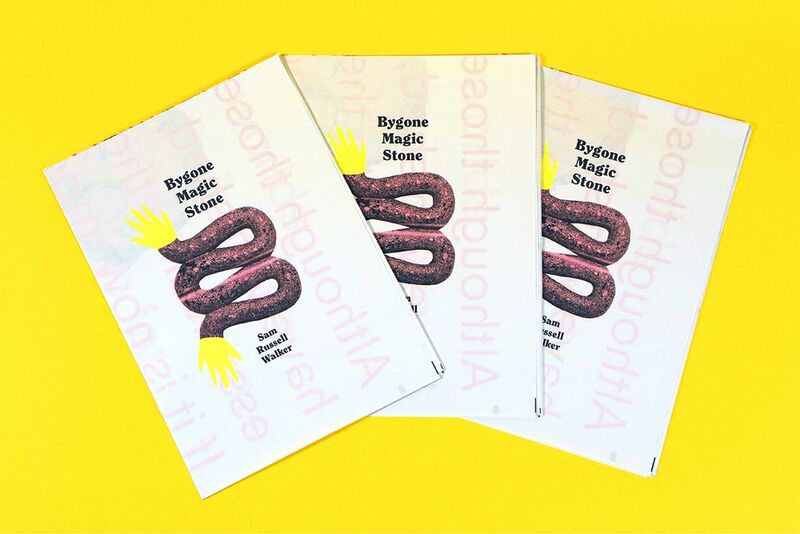 Bygone Magic Stone by Sam Russell Walker, printed on a digital broadsheet newspaper. 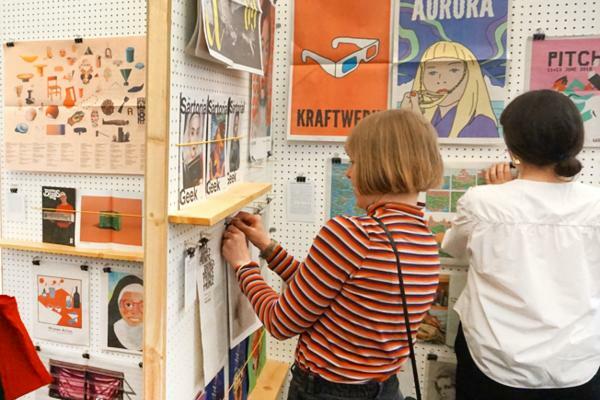 “I attempted to do a 4-colour double-sided screen print, which required numerous screen printing studio slots, lots of ink, lots of screens, very precise registration and lots of time,” explains Walker. Executing a poster like that would be a challenge for even the most experienced screen printers, and Walker ran into frustrating errors with colours, registration, smudging and warping. “After spending more than £100 on the process, a lot of money in my financially overdrawn 4th year, I felt defeated and was about to scrap the whole project,” he says. Enter: newsprint. With the pressure of his final hand-in looming, Walker took advice from a tutor who suggested digital printing instead. He still wanted his posters to have a DIY feel, so went with a newspaper. "I thought the format would lend itself to my collages, and the paper was lightweight enough to fold into a poster booklet." 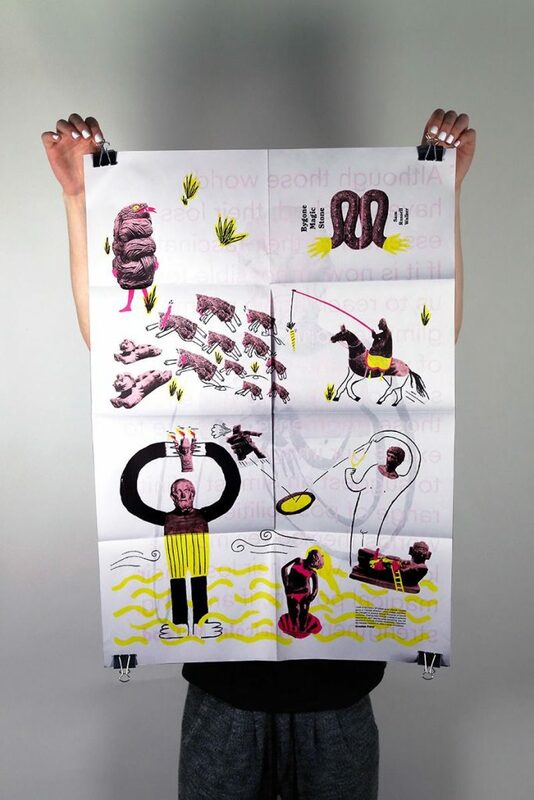 In the end, Walker created a 4-page digital broadsheet – printed on a single sheet of newspaper, it easily transforms into a double-sided poster. 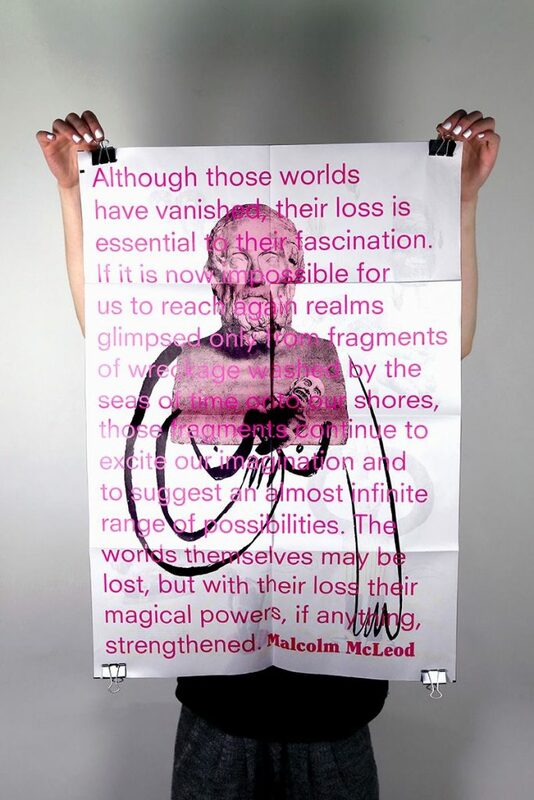 Walker filled one side with his dynamic collages, and put the words of anthropologist Malcolm McLeod on the other: "The worlds themselves may be lost, but with their loss their magical powers, if anything, strengthened." 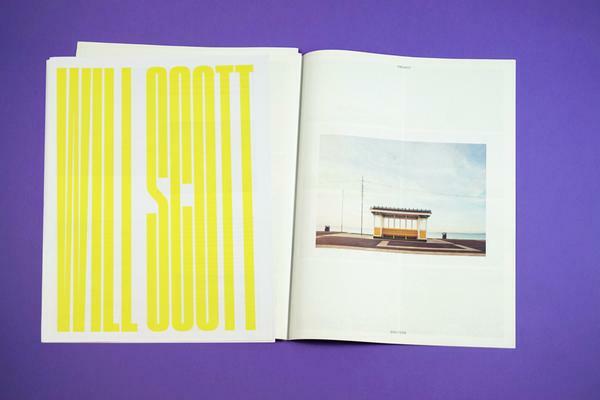 Walker shares excerpts from his sketchbook on Instagram and you can spot his work in the latest issue of Shelf Heroes. 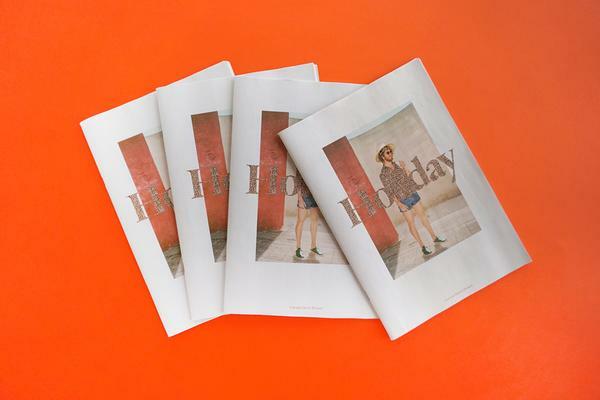 Learn more about digital broadsheet newspapers. Our biggest format makes a big impression. Great for pull-outs, posters, and portfolios.